Louisiana has an impressively diverse culture, that has influenced its higher education institutions. The constant growth of educational opportunities has led to the development of online learning programs for those students who are pursuing an education as well as other responsibilities. Online degrees are affordable, flexible, and convenient. You can find some of the best degrees and programs anywhere in the country through colleges in Louisiana. Known for being one of the top states for developing small businesses, Louisiana launches many leaders through its programs both online and on campus. The online programs are efficient and help students earn a degree in the quickest amount of time. Online learning opportunities are an affordable alternative to students who are looking to work towards earning a degree. Offering 11 online bachelor’s degrees, Louisiana State University Alexandria delivers a high-quality education at an affordable price. Programs include subject areas such as criminal justice, psychology, business administration, and more. LSUA has an excellent career placement planning and planning service for students looking for extra guidance in their career. Accelerated programs can be completed in 20 months for students looking to complete their degree at a quicker pace. The University’s dedication to developing its online programs has resulted in many successful graduates. Louisiana State University and A&M College continues to develop and add programs to its online learning system. With different start times available throughout the year, students can begin when they feel ready. Social work, construction management, and business administration are popular degrees by online students at LSU. Online students are able to apply and receive financial aid and academic support. McNeese State University provides a variety of degrees to choose from online. From engineering to liberal arts programs, McNeese provides high-quality education that prepares individuals to be leaders in the work field. Students resources include audio and video conferencing, online learning labs, and Moodle an online learning management system. McNeese State is heavily involved in its local community which shows through its events and engagement with its student body. MSU creates a unique learning experience that students will value as they continue on in their careers or education. With a total enrollment of over 15,000 students, Delgado Community College is considered the largest institution of higher learning in the Greater New Orleans region. The school also has transfer agreements with most four-year universities in Louisiana, which is a great incentive and help for Delgado students who wish to transfer and continue their education. Delgado offers five fully online certificate programs as well as various online and hybrid classes. They also have associate degree programs that can be completed fully online, including business administration, criminal justice, accounting, and more. Resources available to online students include library and career services, academic advising, and access to Microsoft Office. Grambling State University has created and stood by the motto “Where Everybody is Somebody” to help every individual feel grow and succeed. GSU has remarkable nursing, computer science, and teaching programs available online. Grambling offers 47 online degrees for its students through an impressive learning management that delivers high-quality education through a variety of technology devices. Its resources provided make enrolling, navigating, and completing a degree simple and efficient. Nicholls State University currently has 15 fully online programs. The University is diverse and inclusive both on campus and online. Online programs at Nicholls is a great way to expand job opportunities while currently working, or for those who are looking to change their career path. Popular majors from the University include sociology, business administration, history. Most bachelor’s degrees provided by NSU can be completed within 3 years. With multiple start dates students are able to begin classes when it fits with their schedule. Resources include online tutorials, virtual advising, and tech support. University of Louisiana at Lafayette online courses are student and career focused. Classes are taught by dedicated and trained faculty, who have been nationally recognized. UL Lafayette provides advancement opportunities, military benefits, and other resources for adult learners looking to complete a degree. The University specializes in the healthcare field and has excellent programs that support that, as well as other programs that may be of interest. Northwestern State University of Louisiana currently has 39 online degrees at associate’s, bachelor’s and master’s degrees. Select degrees include an option to add concentrations in relatable areas of interest. NSUL keeps it tuition affordable for all students to have equal opportunities to enroll in programs. “Fast track” options are available for students who are looking to move fast through their program and earn a degree. 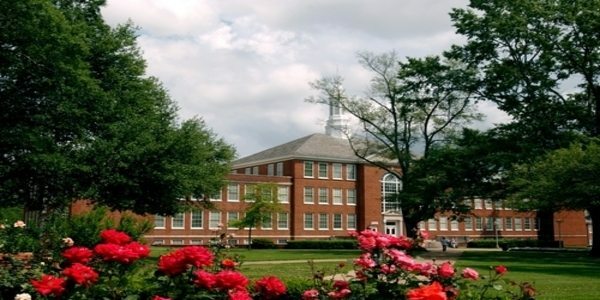 With more than 30 online programs, University of Louisiana at Monroe is one of the best online colleges in Louisiana. Classes are in eight-week formats to help students progress and earn their degree quickly. Online students can stay connected through their portal which provides campus news, campus calendar, advising and more. ULM has a proven success record of student employment post graduation in related fields of study. Psychology, elementary education, and health studies are popular online degrees students enroll in. As one of the most affordable Universities in Louisiana, ULM delivers quality and convenient education. 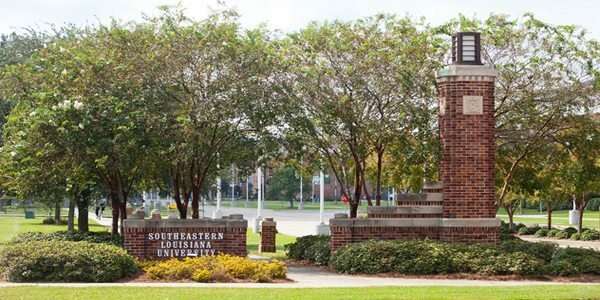 Southeastern Louisiana University delivers its online education through hybrid, online, blended, and web-enhanced to appeal to the needs of all of its students. SLU has extensive degree options to choose from that contain an abundance of student support services to help along the way. The University invests in its online programs as much as its on-campus learning, to create a well-rounded institution that many people can benefit from. SLU seeks to improve education, economy, and culture through its teachings and programs. Dedicated to its technology and research, Louisiana Tech University offers excellent programs, including distance learning. Its online programs are designed to be interactive and delivered in a modern format. In addition to academics, LTU provides professional development experiences for students to learn hands on. Bachelor’s, master’s and certificates are all options to pursue at Louisiana Tech through its online learning system. Its award-winning health informatics and information management program is well recognized nationwide. Southern University and A&M College currently offers 10 online programs. Subjects include criminal justice, psychology, and computer science among others. The University online portal includes services such as the library, bookstore, access to grades, and more. The school has a diverse student body that is involved in the local community. Courses are taught through the online learning management system known as Blackboard which includes tutorials and workshops for courses and additional material. Xavier University of Louisiana, a private liberal arts institution, has been nationally recognized as the leader in minority science education, ranking first in the nation in producing African-American graduates who go on to complete medical school, as well as graduates who achieve PhDs in the life sciences. Xavier University of Louisiana’s College of Pharmacy ranks among the top four colleges in the nation, graduating 25 percent of all African-American pharmacists practicing in the United States. As the only Black, Catholic HBCU in the United States, Xavier University’s core curriculum is rooted in the liberal arts and offers close to four dozen majors in undergraduate, graduate and professional degree levels. Since its inception in 1925 by St. Katharine Drexel and the Sisters of the Blessed Sacrament, Xavier University of Louisiana’s fundamental vision stands upon the education of students who would become agents of change in society, government and the church. Xavier’s students are comprised of young men and women of all backgrounds, who prepare themselves to lead and build a greater and more evolved national and global community. Tulane University of Louisiana has been providing learning opportunities for working professionals to gain more experience in the fields they are pursuing. Classes are synchronous, with students taking two courses per semester. Constant discussion between teachers and students make for an engaging online environment. US News and World Report have ranked Tulane #39 in National Universities. Loyola University New Orleans is known for its diverse student body and valued academics. Its top programs feature nursing and religious education that are both available online. Its online offerings are just as challenging and engaging as its in-person academics. Loyola’s support services are available 24/7 to accommodate schedules and provide support for its online learners. Loyola brings the classroom to its online adult learners, to help them earn a degree that best fits their needs. University of New Orleans offers online programs mainly at the graduate level. UNO has a unique success coaching service that all students can benefit from. Through its online department, UNO embraces the latest technology to help its students learn efficiently through different platforms and tools. Certificate programs and hybrid courses are also available for students seeking additional education. English, engineering management, and hospitality management are programs that the University is known for. There are also many organizations and opportunities that online students can participate in as well. If you think a school not listed here deserves consideration for a future list, please reach out to us today. We’re constantly looking for the best online colleges in the country providing the best opportunities for students everywhere.